Opening up a new bar may be one of the most daunting things you ever do, especially when you consider the cost. Nevertheless, with these tips and some hard work, it’s possible to spend none of your own money on it. Here’s how. With the price of alcohol rising fast, people are more likely to buy alcohol at the supermarket and drink it at home with friends. But opening a bar that has its own unique feel and gains a multitude of happy customers can be one of the most rewarding small business experiences. It can also be a wise financial investment. With the right location, high quality service, and a great concept, your bar can be profitable. So much so, that your first bar can lead to others, and before you know it, you could be the owner of a successful chain. But opening that first bar is the most important and the most financially worrying step in the process. You need to think about renting, or even buying, a large enough property. The there’s also the cost of equipment, staff salaries, the price of the food and drink, and alcohol licensing costs. Even after you’ve planned and paid for all these, there are usually few new and unexpected expenses hiding around the corner. So, how much does it cost to open a bar? All in all, you’ll need roughly $26,000 or £20,000 to cover the initial costs of opening a bar. After that, costs can reach $100,000 or more, depending on where you plan to open your bar. A lot of money, right? However, this money doesn’t have to come from you. Most startups aren’t funded out of the founders’ own pockets. Instead, they come up with a solid concept and business plan and pitch it to investors. Bars are no different. With a unique idea, a great strategy, and the right location, you can convince investors to fund your bar. By doing this, you could open a bar with no money. Before rushing into opening a bar, it’s a good idea to get some experience in the process of serving drinks on a large scale. If you’re thinking of opening your own establishment, it’s likely that you already you have some experience in operating or at least working in a bar. If you haven’t, get some. Take a job as a bar manager to get the feel of things and an understanding of the inner workings of a bar or pub. 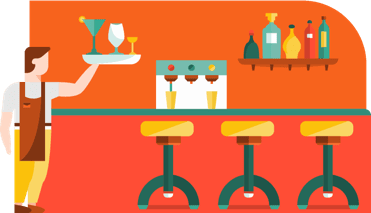 Getting your own experience is vital for anyone looking to open their own bar. This can also give you insights into what makes a bar successful, and what doesn’t. It can give you ideas into how you want to conceptualise your bar. Still, this may not be enough to convince investors that funding your bar is a good idea. You may have to go through a more steps in order to gain their trust. This can be done by setting up a smaller version of your bar. One way to do this is to ask your friends if they or anyone they know are planning to hold a large event. This can be anything from a wedding to a business event. See if they want you to organise the drinks and catering. Get them to pay up first — or at least half — to cover the cost of stock and staff salaries. This way, you won’t have to put any of your own money into it. Not only is this good for you to get to grips with how to run a successful bar under pressure, but it can prove to investors that customers enjoy what you are serving. It will give you insights into whether a brick and mortar version will be viable. And who knows? Someone you serve may even become an investor. Going to investors is one of the most popular ways aspiring bar owners go about raising money to accomplish their dream. This is never a quick process. An investment in a bar or restaurant is not sorted after a quick phone call. Instead you must build a relationship with your investors to develop trust between you and them. You cannot go to investors straight off the cuff. You are likely to get laughed out of the door if you go into a meeting with potential investors without a proper bar business plan. This needs to be done before any meetings take place. Investors need to know that putting money behind your bar is financially wise, and that they’ll get something back out of it eventually. Unfortunately, there’s not a golden place where you can find all investors. And finding investors for a bar online can be notoriously difficult. Bars are usually risky, with little financial reward. That said, there are websites you can use, such as invstor in the US and the Angel Investment Network in the UK, or the site CompanyPartners, which is a bit like a business dating site where you can find both investors and a business partner. But many first-time bar owners turn to their own personal network. Ask your friends and families if they know of anyone who are looking to invest in a project. Don’t be afraid to pick up the phone and ask around. The very worst that can happen is that they say no. You may be surprised who you find. Once you have some capital from investors in your network, then future investors will be more likely to say yes. The initial pitch is the most crucial and the nerve-wracking part of the investment process. You must give your potential investors a detailed plan that is financially feasible, that outlines investor returns and ownership, and is inspiring. Investors are looking for conservative estimations of how profitable your business will be, not just the very best case scenario. So be realistic with your numbers. When it comes to investing in a bar, location is the most important element. Hundreds of bars shut down due to picking the wrong spot to open up, either due to high competition or a lack of thirsty people. Investors will want to know that you’ve found a great place in town, where a new bar will have plenty of customers but little competition. Do your research. Try to acquire stats on the population, such how many people live there and their demographic. For example, a hipster craft beer outlet playing loud music is unlikely to do well in a sleepy village populated by senior citizens. Also, investigate the potential competition. How popular are the pre-existing bars? What kinds of drinks are they selling? And for what price? This is essential information investors will expect you to already know. Secondly, you’ll need to have an idea of the bar’s ownership. If you’re planning to put none of your own capital behind the bar, then you’re not going to be the sole owner of the whole thing. Think about percentages of ownership, tell the investors and help them understand what this means for them in terms of financial reward. Finally, you need to inspire your potential investors with your bar concept. Don’t look at investors as bags of money. They are human beings. With this in mind, show the passion you have behind your concept in your pitch. Outline your vision for the future and make them see it with you. It’s a good idea to work with an investor who already has some experience in the bar industry. They’ll be more likely to understand and show devotion to your cause. If the investor is from the same location as your bar will be, you could even suggest to them that it would be a good for the community. It could provide jobs, taxes and a place for people to socialise in their area. If you’re not having much luck with investors, then you can take your idea to the people. 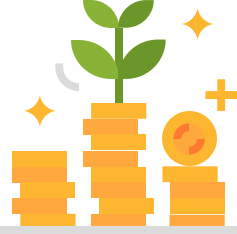 Crowdfunding is a way of raising money by asking many people online for a little bit of money each. An advantage of this is that it gives you more freedom to shape your bar how you want. You don’t have a large investor looming over every decision you make. Over the last few years, many aspiring bar and pub owners have taken to crowdfunding sites, such as Kickstarter and GoFundMe to launch their projects. For example, in Scotland in 2004 a cocktail waiter raised £20,000 through a crowdfunder to buy a closed down pub. 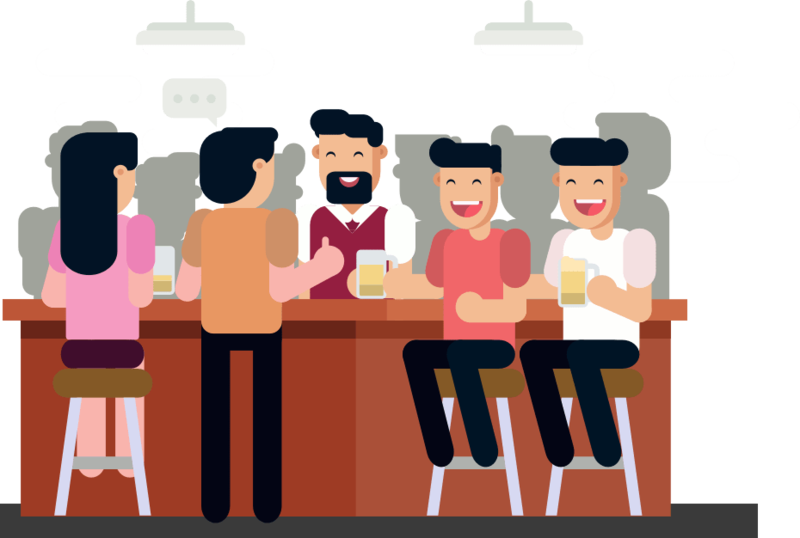 Crowdfunding works well for bars and pubs as it creates a sense of community amongst your customers. 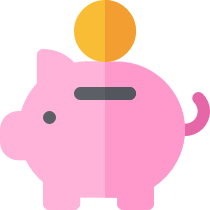 As funders donate some of their own money towards your bar, they will feel that they are an integral part of it, and they’ll want it be successful. It’s also good marketing. A successful bar on a crowdfunding site will garner a lot of publicity before it’s even opened its doors. This can be great for when you first open, as you already know that you have a crew of dedicated customers. Pitching a crowdfund is a lot like pitching to a normal investor. You must show your bar concept, how it’s unique and why people should be as passionate about it as you are. Again, if you’re pitching to people in your community, explain why a new bar in the neighbourhood would be a good fit. You may not have thought it, but it’s possible to open a bar with no money. With dedication and a lot of leg work, you can raise the money to get your bar started without dipping into your personal finances. The most important thing to take away from this article is the pitch. The only way you’re going to get people to invest and believe in your bar is if you believe in it yourself. Have faith in your ideas, convey your passion to investors, and you could end up having a successful bar without touching your own savings.